All aboard. 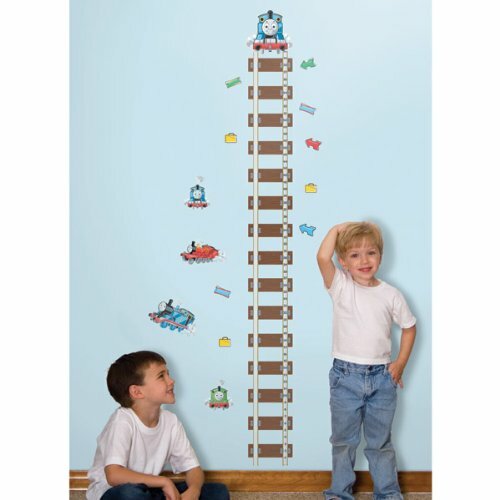 Travel down the tracks with Thomas, Percy, James, and the rest of your favorite tank engine friends with this set of removable and repositionable wall decals. Thomas fans big and small will love the colorful and fun characters and phrases included in this set. Apply them to any flat surface, including walls, furniture, doors, windows, mirrors, and more. Every element can be moved around multiple times without ever damaging the surface. 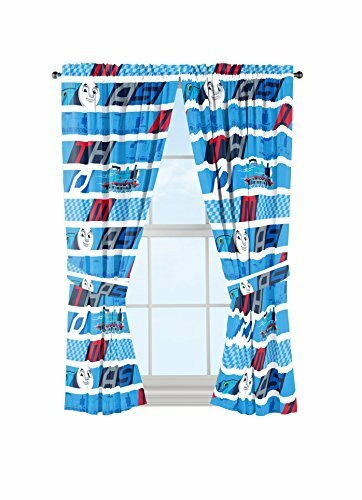 Transform any child's bedroom windows with decorative, bright and fun character curtain draperies. Perfect for the bedroom, kid's room or nursery, these curtains will certainly make them smile. Set includes two rod pocket curtain panels and two coordinating tie backs. Tie backs allow you to easily open and close curtains to create privacy and control how much light gets into the room. Layer on sheer panels behind these curtains for a layered look and privacy. Sheer panels not included. Each rod pocket panel measures 42" wide by 63" long. Total curtain width is 84" wide. Fits standard 1" curtain rod. Curtain rod sold separately. 100% soft microfiber polyester. Machine wash gentle cycle, tumble dry, do not bleach. Cool iron if needed. Imported. All aboard! 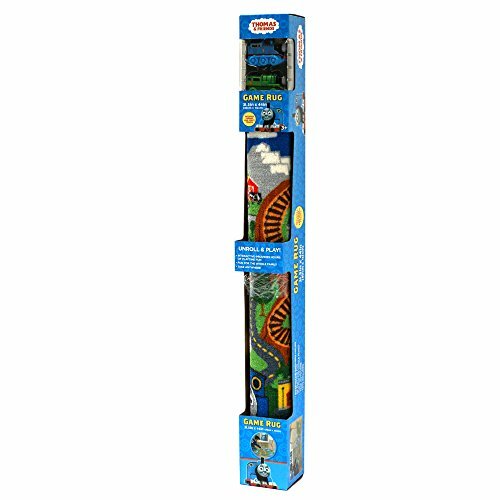 Watch your little Thomas enthusiasts grow with this ultra cute Thomas the Tank Engine and Friends Peel and Stick Growth Chart. Stick the chart on any wall, door, or mirror, and use the additional decorative elements as repositionable markers to keep on track. 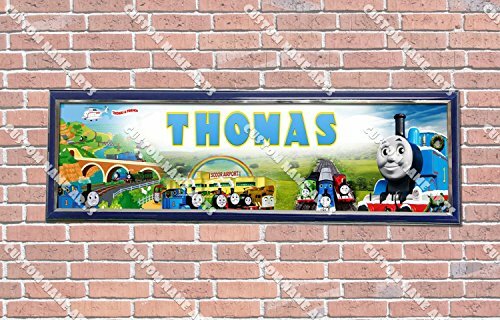 Don't forget to add our Thomas & Friends self-adhesive border, peel and stick wall decals, and mural (all sold separately) for a totally Thomas room makeover! 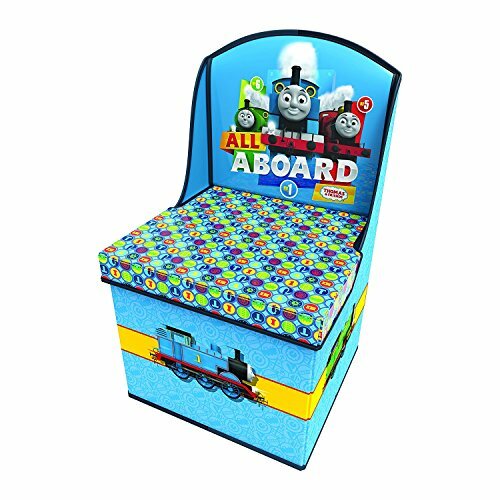 Get the ultimate Thomas and friends storage and seating solution for your little one. This uniquely designed, multipurpose and compact chair is well built with storage in mind! they are perfect to take to the park, beach or just for providing seating during story time. The lift up lid allow kids to put away their toys and books; keeping their surroundings tidy!. Interactive Nylon Game Rug with Toy, 31.5x44". Thomas & Friends Theme. Includes Thomas & Percy Trains. 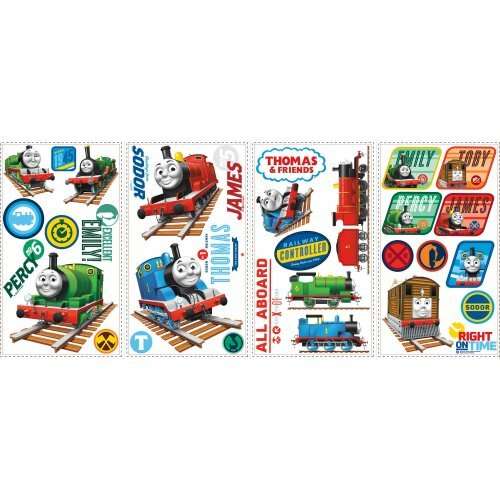 Light up the world with Thomas & Friends! 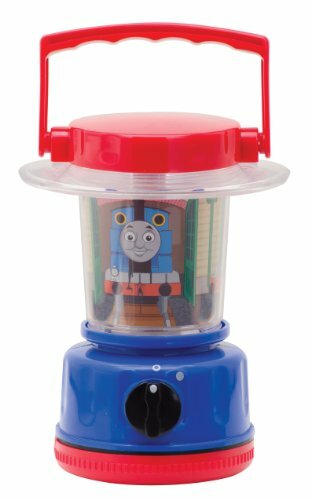 Thomas Mini Lantern from Schylling Toys, the world leader in traditional toys and classic fun, is easy to carry for little hands. The lantern features classic Thomas art and the characters illuminate and display a friendly way to light a dark room, tent or car. The easy on and off switch encourages independent exploration for little Thomas the Tank fans. Long lasting LED light powered by 4-AA batteries (not included) provides hours of cheerful bright security. For ages 3+. 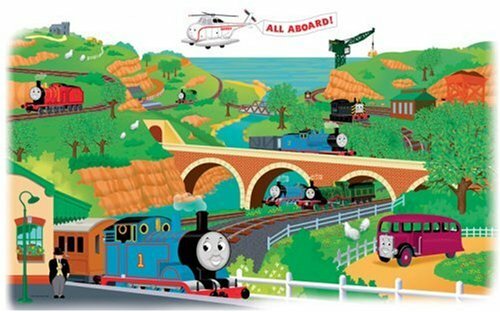 Thomas the Train and his friends come to life in this colorful wall mural. This design comes into two manageable pieces for ease of installation. And like all RoomMates, it is easily removable and repositionable. 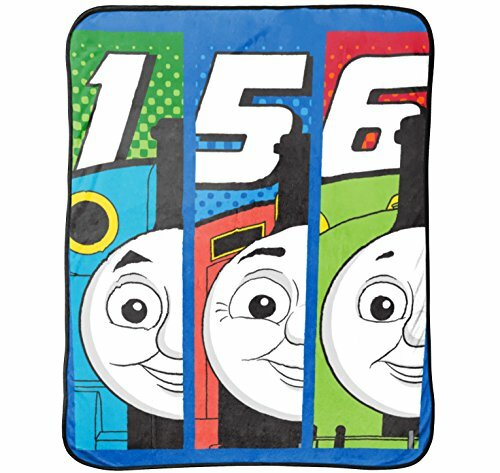 For those who want something larger than life, check out the similar design printed as an XL Wall Mural, or add effect with our Thomas and Friends border and appliques (all sold separately). 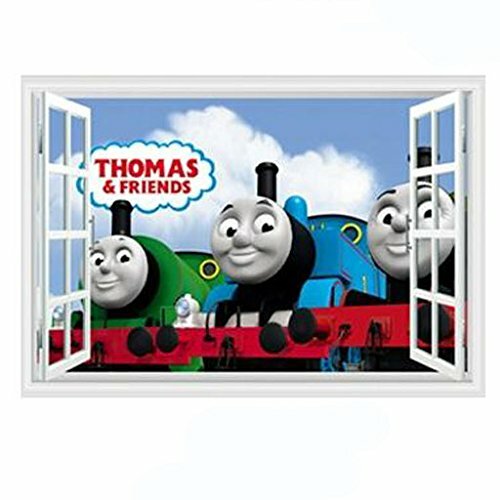 Looking for more Thomas Room Decor similar ideas? Try to explore these searches: Pink Girls Underwear, Mustang Oil Pans, and Doggie Fence. Shopwion.com is the smartest way for comparison shopping: compare prices from most trusted leading online stores for best Thomas Room Decor, Crochet Blocks, Mission Outdoor Lighting, Room Thomas Decor . Don't miss this Thomas Room Decor today, April 19, 2019 deals, updated daily.